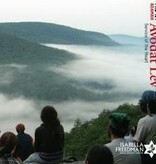 Avodat Lev brings us together for meditation, chanting, and creative sharing each morning. We begin the day in silent meditation, which is unstructured quiet time. Instruction is available for those unfamiliar with contemplative practice. We then find our collective voice, chanting short phrases from Shacharit (the traditional morning liturgy) to open our hearts to ourselves, each other, our community and the world. 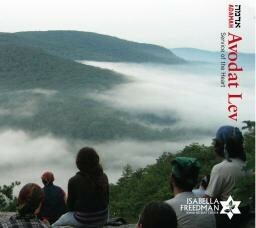 This 18-song compilation includes all the chants from the morning prayer experience at Isabella Freedman Jewish Retreat Center. Songs are sung by ADAMAH alumni as well as Teva and Isabella Freedman staff and composed by various artists, including Rabbi Shefa Gold, Debbie Friedman, Gabi Meyer, and Shir Yaakov. This unique recording is available exclusively from the Isabella Freedman Bookstore.